In Rathgormack N.S. there is a huge tradition of G.A.A., particularly football and we love to take part in Cumann na mBunscol competitions. 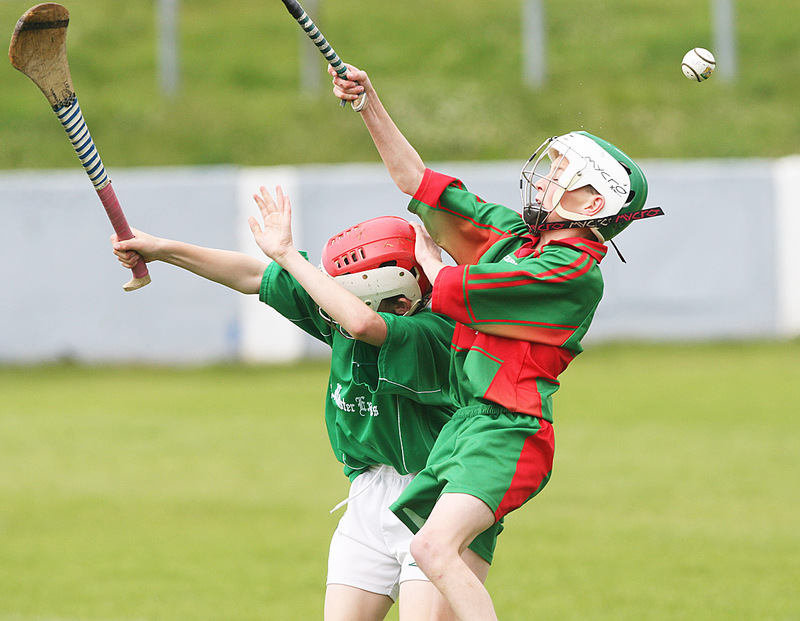 In the last few years we have played Girls and Boys U-12 Football, Hurling and Camogie. We also take part in Mini-7s Tournaments. Our most successful year was three years ago when we won the Boys Football County Final in Group B which was a huge achievement for a school of our size. Our girls won the Eastern Final in Group B the same year but got beaten in the County Final. That year we also won the Boys and Girls Mini-7s County Finals and went on to represent Waterford in the Provincial Tournaments which were held in County Tipperary. This was a very exciting day for the school! As a result, three of our students Katie Murray, Conor Murray and Brian Connolly got selected to play at half time in Croke Park on All-Ireland Final Day and on the Semi-Final Day. This was a fantastic opportunity for these talented footballers and they enjoyed the day immensely. While the boys had been involved in the Hurling for numerous years, the girls just started playing Camogie three years ago and reached the Eastern Final of the competition in that year. 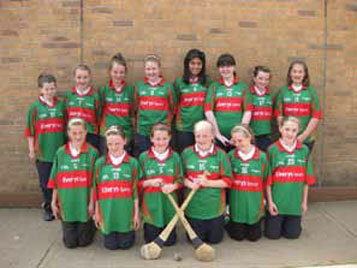 Cumann na mBunscoil provides this opportunity to encourage the girls to get a taste of playing camogie. They really enjoyed training and taking part in the games. We are very lucky in Rathgormack N.S. to have enormous support from members of our local G.A.A. club. They are always more than willing to help us in any way they can – getting the pitch ready for games, coaching in the school, organising equipment and many more ways besides. We are extremely grateful to the club for their enthusiasm for promoting G.A.A. in our school. Many of our past pupils have played on county teams for Waterford at different levels and in different grades over the years. Some of our more recent graduates to have represented Waterford are Shauna Power, Aoife, Katie and Emma Murray who were on this year’s U-14 Waterford team that reached the All-Ireland Final. 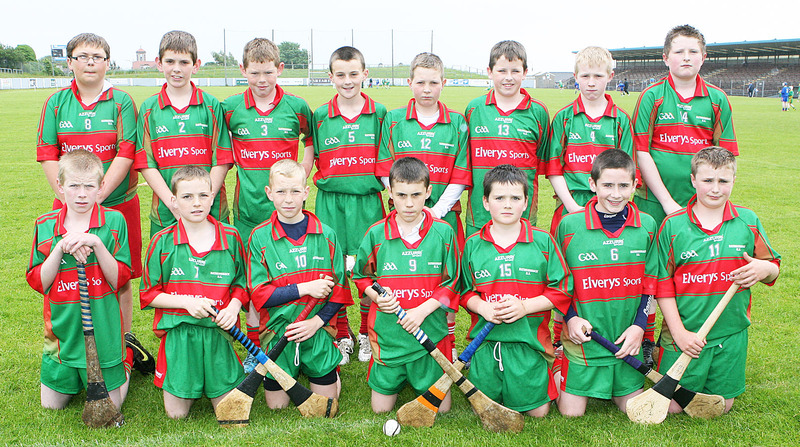 Declan Hennebry, Brian Connolly, Conor Murray, William Hahassey, Jason Curry, Conor Walsh and Michael Curry have represented Waterford on various boys’ teams. We are delighted to see these players progressing in their chosen sports and have no doubt that we will see many of our current students in County colours in future years. We have an eager, talented bunch in Rath- gormack this year who are looking forward to getting stuck into training and taking part in the upcoming Cumann na mBunscoil tournaments. It will be lots of fun no doubt agus bheadh an-áthas orainn AON corn a ghlacadh!